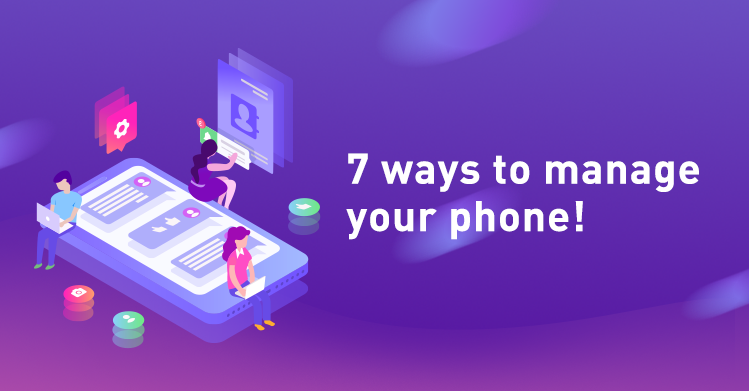 [Flyme]7 ways to manage your phone! Hi guys! In daily life, give a name, add a note, and put a label, not only can quickly identify the item, strengthen the memory, but also organize the storage well, so that everything is more organized. Nowadays we are relying more and more on phones. The phone not only contains all of our contacts, but also keeps our daily information. The following methods can manage your phone more scientifically and conveniently, so that the phone can provide you more customized services. Give your phone a unique name. 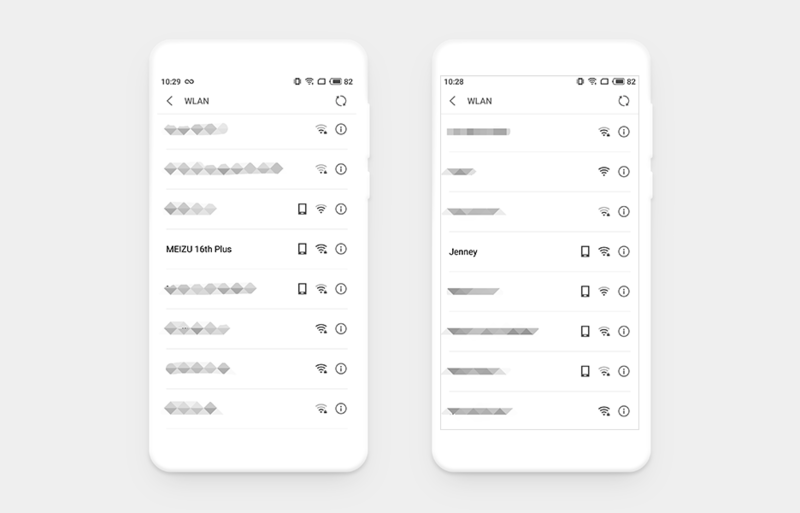 When you share a hotspot or transfer file by Bluetooth, a unique device name is easy to find. Please go to Settings>About phone>Device name. 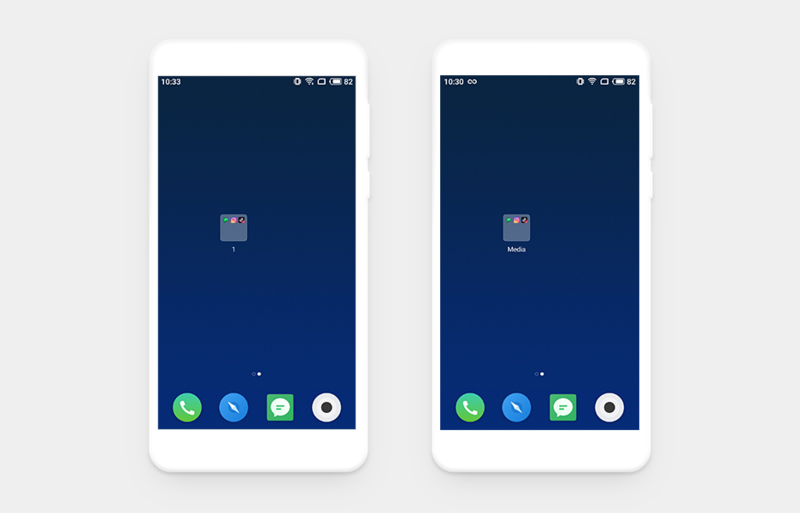 Give each folder a name to quickly find the apps of the same type. Modifying the file name for the taken photo or downloaded photo will not only better recall the scene when shooting, but also facilitate the one-tap search to find the photo instantly. 0r please go to Files>Pictures>long-press the target picture>Rename. 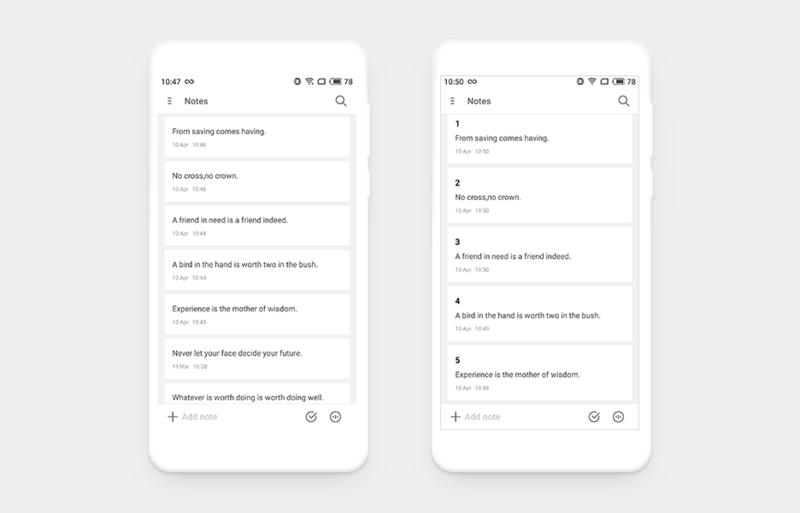 The title is a summary and refinement of the content, and your notes need a title to remind you. Drop-down its edit page to add a title to the note. Don't know what the alarm for when you are woked up? 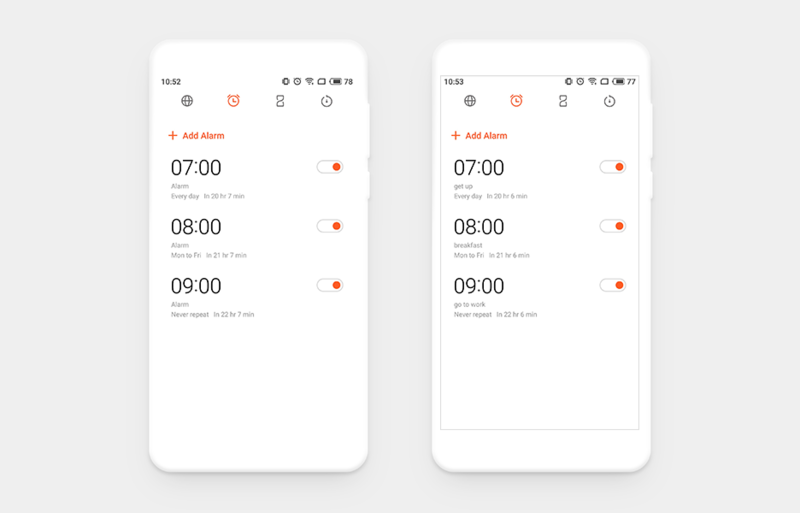 Add an alarm label for it. Please go to Clock>edit alarm>Label. 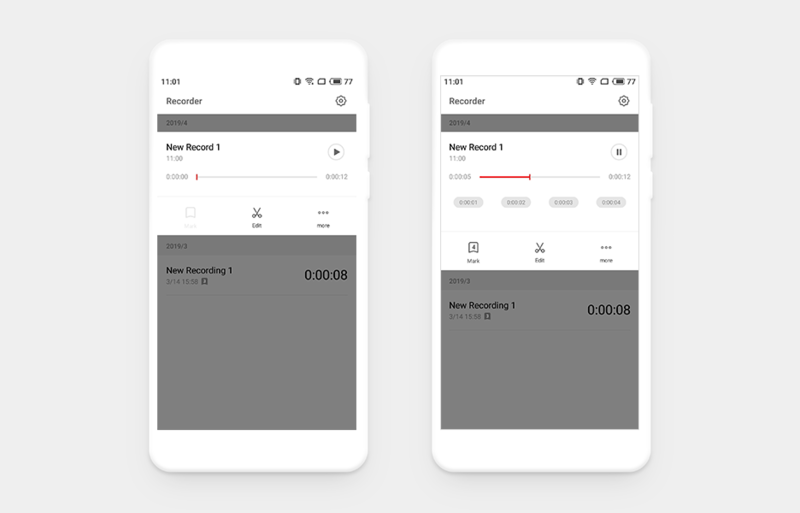 When you need to record meetings or lectures, you can add a mark for the important content. When you listen or edit again, you can accurately reach the target content according to the added mark. By naming the fingerprints you have enrolled, you can not only know the enrolled fingerprints at any time, but also quickly identify them and find the target when you need to delete a fingerprint. Please go to Settings>Fingerprint, face & security>Fingerprint identification>tap the enrolled fingerprint to edit it. Hope they can help you! See you next time! Hi guys! 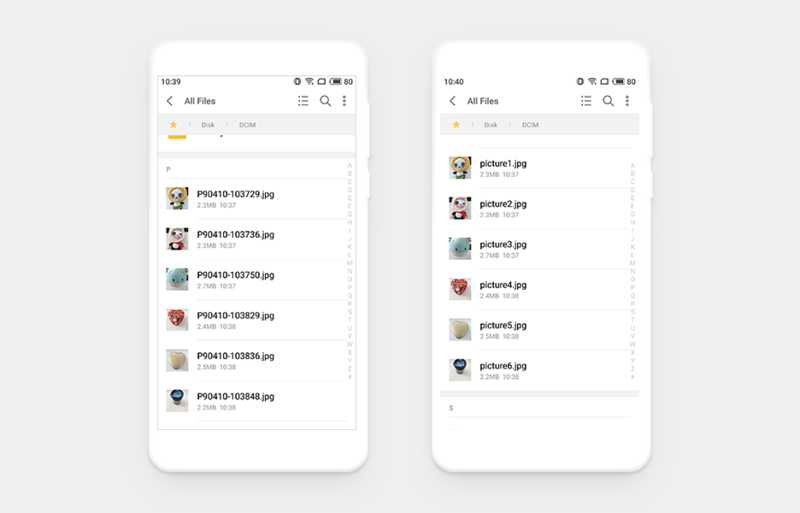 In our daily life, renaming an app or folder, adding a note or label not only makes it easier for us to identify an item or remember its directory, but also helps us keep the phone storage better organized. 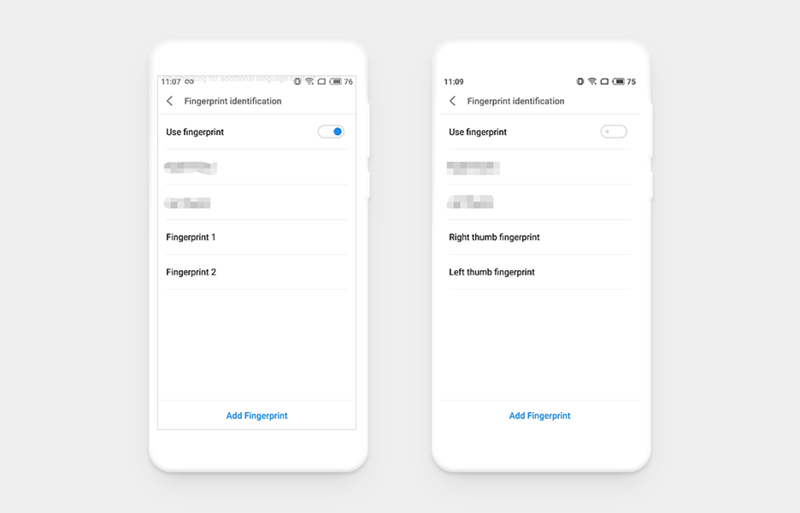 Considering we are relying more and more heavily on our hand gadget since it holds our contacts and private information, it's better to find a way to manage it well instead of letting it manage us. The following tips may help you achieve this goal as well as letting your phone provide you with more customized services.